Come to visit, have a relaxing time, and feel prettier after enjoying high-end services at one of the best nails salon in OHIO. Sincere 1997,we have been over 20 years in businesses. Conveniently located in Dayton, Ohio, Michael's Nails is proud to deliver the highest quality treatments to our customers. We’re pleased to offer many nails services to anyone in or near Dayton that is looking to enhance their nails. 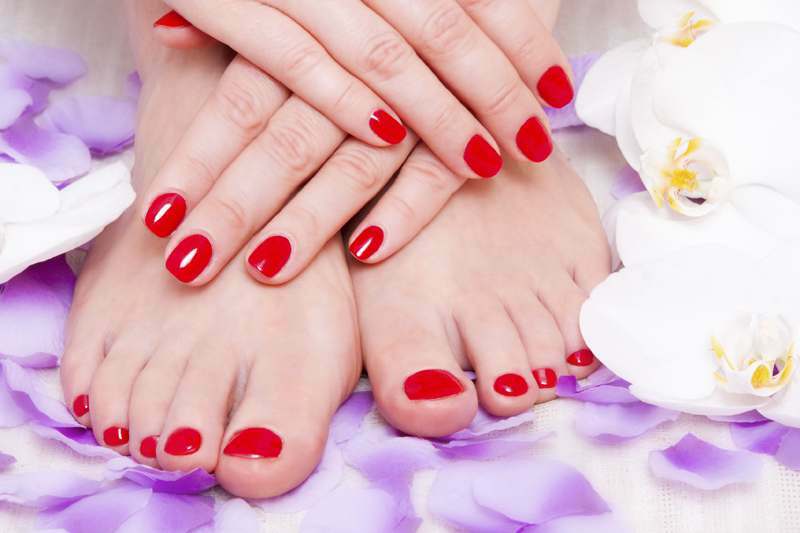 We offer all of the leading nails services, including manicures and pedicures. We also have permanent makeup, eyelash extensions and so much more. Our entire range of services guarantees that we have the skills and experience necessary for your nail and spa needs. Michael's Nails understands that safety and sanitation are very important to its customers. Our implements, equipment, and electrical instruments are always thoroughly cleaned and subjected to an approved sanitizing and disinfecting process before being reused. Buffers and files are used only once, then discarded. All pedicure procedures are performed with liner protection. Our staffs were trained to follow a proper sanitization protocol that puts our customer’s cleanliness as the number one priority. Our goal is to create a relaxing and clean environment so that your experience Michael's Nails is more than simply a “trip to the nail salon.” We want to make sure that you’re satisfied that you keep coming back for years to come. 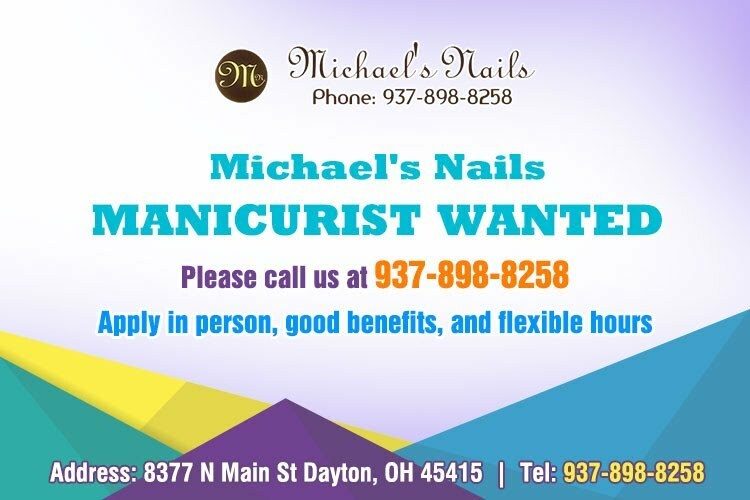 If you’re in need of nail treatments or want to see why so many Dayton residents come to Michael's Nails, come visit us today.